Killer Squid & Deadly Octopus - Really? In terms of natural weapons all squids and octopuses (cephalopods) have some common factors. Primary and most iconic among these are the arms and tentacles. These are not actually the same thing; whilst both squid and octopus generally have eight arms, squids have an additional two tentacles. So, what’s the difference? Well arms generally have suckers along the entire length while tentacles only have suckers towards the end. Octopus arms are pretty strong too. They can be employed to wrap around and squeeze the life out of prey before pulling it towards that sharp beak. There is footage of a large octopus grabbing a passing shark of about 1.5m (4ft) and killing it after a short wrestle. One of the things that differentiates octopus and squid is their suckers. Both are used for grasping prey but those of the squid are lined with sharp teeth, or even hooks. Whilst you would be unlucky to get little more than a “love-bite” from the average sucker those of bigger squids are likely to cause a little more damage. A quick look at the skin of many older sperm whales reveals patterns of rings carved into the skin by the powerful suckers of the giant squid they prey upon. The business end of the squid or octopus is its beak. Somewhat similar to a parrot it is powerful, incredibly tough and very sharp. If the squid is sufficiently large to get your finger in its mouth there is little doubt it could cut it off. But it isn’t just the slicing and dicing abilities of a cephalopod’s beak you need to worry about. It has been found that all octopuses are capable of delivering a venomous bite with some being potentially deadly. So named for their iridescent blue rings, these little octopuses spends most of their time hiding in the nooks and crannies of coral reefs of the Pacific and Indian Oceans. However, when threatened the blue-ringed octopus lives up to both its reputation and name, showing its true colours. Its skin becomes a bright yellow and the blue rings even more vivid, almost appearing to shimmer. 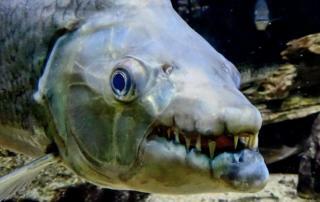 This is a warning that this is in fact one of the most dangerous animals in the ocean. 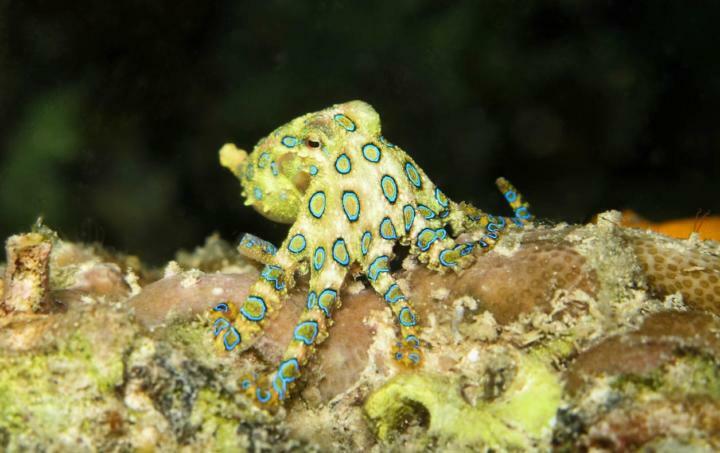 As we mentioned above, all octopus have venom, but that of the blue ringed octopus is in a league of its own. Known as TTX (tetrodotoxin) this lethal neurotoxin is in the same family as that found in arrow poison frogs and pufferfish. In the region of 1200 times more potent than cyanide only the slightest nip from a blue-ringed octopus can prove fatal. In fact many victims claim not to have even felt the bite itself. The average specimen, which weighs only 30g, is said to contain enough poison to kill over 10 adults. What is worse is that there is no effective antivenom for a blue-ringed octopus with the neurotoxin working by paralysing the victim. It has a similar effect to the medicinal curare which is used to immobilise patients during operations and, whilst alert, those under the influence may be unable to speak or move. However, the main danger is that it paralyses the lungs causing the victim to suffocate. Immediate treatment is essential in serious cases with the victim being put on life support until the effects of the poison wear off and unassisted breathing is restored. Also known as the jumbo squid and diablo rojo (red devil), the Humboldt squid has something of a reputation as vicious and formidable predator. Weighing in at up to 50 kilos (100lbs) and measuring over 2 metres (6’6″) in length, these squid are armed with razor sharp beaks, that according to one oft quoted diver, could “mechanically amputate your hand”. In addition, the Humboldt squid’s eight tentacles are equipped with tooth-lined suckers and sharp barbed hooks. If the picture we have painted of these big red squids does not sound particularly intimidating thus far also consider they hunt in shoals of up to 1,500 individuals. Of course the Humboldt squid didn’t evolve to eat humans and their natural diet is basically anything they can catch and slice up small enough to fit in their mouths. This is generally smaller fish and other squid, however, the Humboldt squid does have a somewhat macabre reputation for regularly eating their own kind. Basically once in feeding mode anything goes, and these killer molluscs have to eat up to 10 times their body weight per day just to survive. So given their size, appetite and array of weaponry this all begs the question are Humboldt squids dangerous to humans? Well, technically this is a big yes, and there have been numerous reports of attacks on humans over the years. Perhaps, the most notorious (although somewhat lacking in evidence) is the story of the Mexican fisherman who fell overboard whilst fishing in the Sea of Cortez. When he reached out for his mate to pull him back into the boat he was attacked and pulled beneath by a school of voracious squid, never to be seen again. 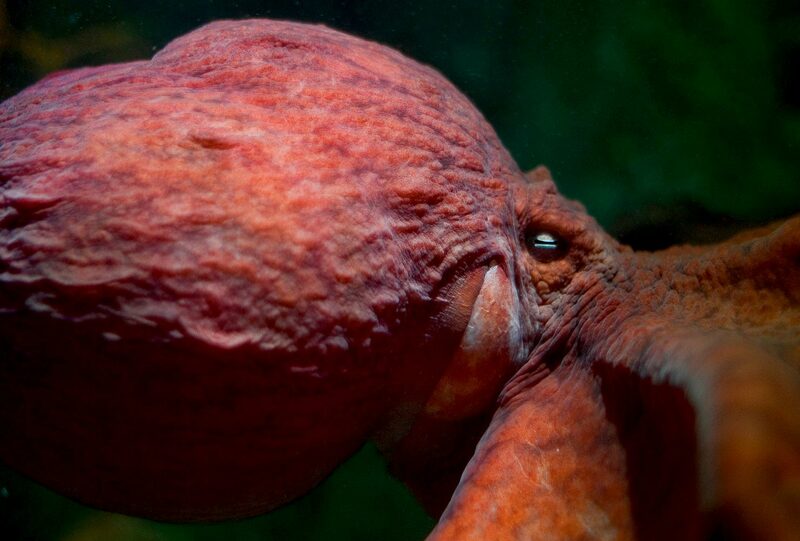 As the name go some way to suggesting, the giant Pacific octopus is the biggest of all octopuses. Generally weighing up to 70kg (155lbs) and with a massive arm span of up to 6 metres (20 feet) these certainly are formidable beasts. (National Geographic claim the largest specimen ever weighed 140kg (300lbs) and measured 9 metres (30ft across)!) Along with their size these octopus have several adaptations which verge on being special powers. Firstly they are extremely squidgy, meaning they can squeeze through tiny gaps. 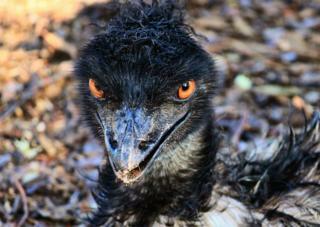 In fact the limiting factor is the size of their beak – the only hard part of their body. Even creepier are their camouflaging abilities; not only can they change their skin colour but they can alter its texture. Given the right background the octopus can virtually disappear in a matter of seconds. Less useful for survival and hunting, but equally odd is the octopus’ three hearts, blue blood and nine brains. Yes, all those brains do make them smart and this is often demonstrated in their problem solving abilities. Given this intelligence octopus are commonly protected by animal testing regulations which do not normally apply to invertebrates. So, the giant pacific octopus is big, weird and intelligent – but is it dangerous? Well firstly we can rule out the Staten Island Ferry Disaster – in case you hadn’t figured it out, it’s a hoax! There are however a number of reports of people being attacked by octopus. Strangely enough many of these seem to date back some years and as more people spend more time in the ocean there have been less reports of octopus attacks. So that doesn’t quite add up. However, there have been a few verified attacks on divers but none of these seem to have resulted in any serious injury. It seems the octopus are just a little over-curious rather than set on devouring the divers. As we proceed further down the page we begin to enter the world where fact meets fiction. For centuries seafaring folk had told tales of a terrifying sea monster armed with giant tentacles with which it would rip ships apart – the Kraken. In fact the creature even made it into Erik Pontoppidan’s 1755 reference book, “The Natural History of Norway” where it was described as being over a mile in length! 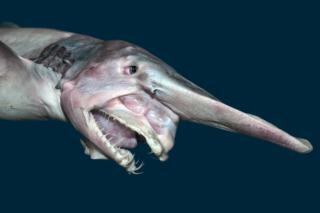 It was not until the 1850s that the first clue as to the possible identity of this mythical sea monster came. A squid beak washed up on the shores of Denmark hinted at a specimen massively bigger than any known squid. In the years following the discovery estimates ranging up to 18 metres (60ft) have been made regarding the giant squid’s size. The truth is we still don’t know how big these mega-molluscs grow as they have seldom been viewed alive as they spend most of their time in the dark, oceanic depths. Given the giant squid’s elusive nature it seems unlikely they would have spent much of the Middle Ages attacking sailing ships and grappling with sailors. So, the stories must have been made up then? Well, actually they might not have been entirely fictitious. Back in 2003 a French yacht was actually “attacked” off the island of Madeira in the Atlantic Ocean. An 8 metre long squid is reported to have latched onto the boat blocking the rudder. However, rather than dragging all on board down into the depths the squid seemed to lose interest when the boat stopped moving. There have been other reports of giant squid attacking ships, including the Norwegian Navy’s 15,000-ton tanker, the Brunswick. The crew of the ship reported not one, but three separate attacks by giant squid during the 1930s. In one case it ended particularly badly for the squid which was dragged into the propellers. Other reports have claimed that giant squid have attacked whales. One of these comes from two South African lighthouse keepers in 1966 who allegedly watched a giant squid and baby wright whale locked in a two hour battle with the squid eventually succeeding in dragging the whale below. This seems quite unlikely as giant squids are only known to eat relatively small fish and other squids. In another whale-related story the crew of a Russian whaling ship reported seeing a 40 ton sperm whale and giant squid battle to the death. The whale was found strangled with the squid’s tentacles wrapped around its throat whilst the squid’s head was found in the whale’s stomach. But what about the colossal squid? Potentially even bigger than a giant squid, surely this must be the deadliest of all the cephalopods. Apparently not – despite its enormous size it seems the biggest of all squids is content to just float around and grabbing for whatever small prey comes into reach. This megalodon munching mega-mollusc was reputed to swallow ships whole. Measuring anywhere up to 2km (1.5 miles) in length, the Kraken was considered a very real danger for sea-faring folk of the northern Atlantic during the Middle Ages. Although now regarded as a mythical creature, back in the old days the Kraken was pretty much accepted as being real, even by the scientific community as late as the mid 18th century. In fact, not only did it feature in the 1755 reference book, “The Natural History of Norway”, it was listed as an real organism by Linnaeus, the creator of the modern system of classifying living things. 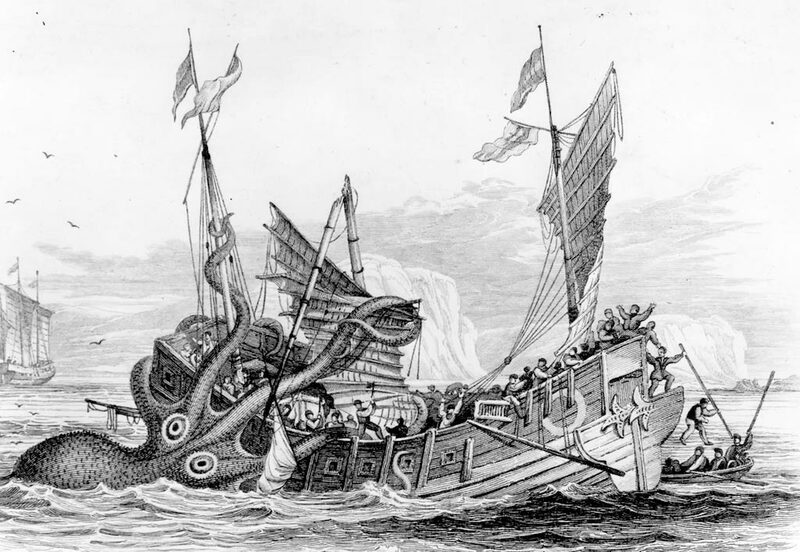 One well-respected French zoologist even staked his reputation on the Kraken being real in the 1780s – he did becomes a laughing stock shortly after his claims. The legend goes that the Kraken would spend most of its time in the darkest depths of the ocean, slumbering on the sea floor. However, when the weather warmed up, or if disturbed it would head for the surface. The arrival of the mighty mollusc would be heralded by a bubbling of the sea followed by hordes of fish leaping out of the water. Once the beast had a ship in its sights there was little the crew could do; it would tear the boat apart, sending it to Davy Jones’ locker whilst gulping down the unfortunate crew in one gulp. In the rare case a ship escaped the initial attack it had to worry about the enormous whirlpool the Kraken would leave in its wake – enough to drag a ship to the bottom of the ocean. Today, it is all too easy to just assume the Kraken was the result of drunken sailors exaggerating brushes with giant squids. But it is doubtful how likely this is as the only basis of the legend. 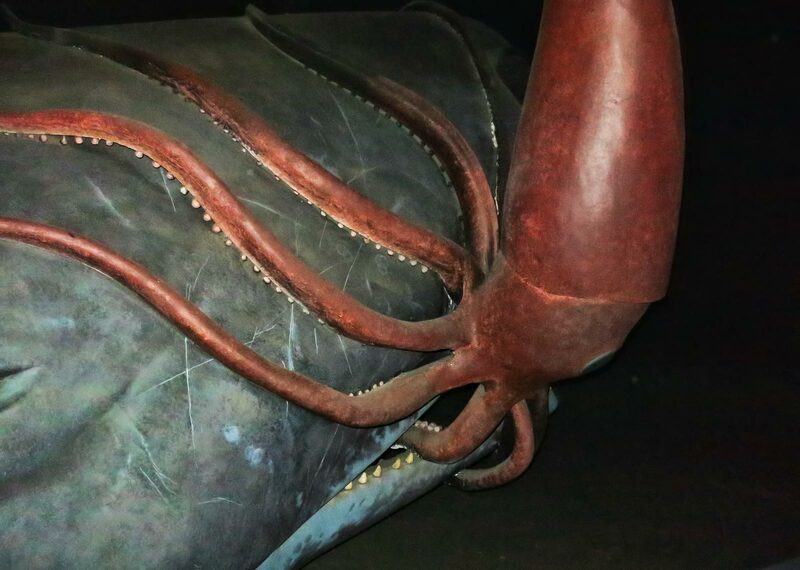 For starters giant squid have hardly ever been seen alive, although it is true they have reportedly clung onto ships. In addition, no living squid, or octopus would be capable of sinking even the tiniest of ships, let alone grabbing grown men from the deck. Another possible (or contributing) explanation could be the underwater volcanic activity, which is common around Iceland. Bubbling and steaming of the ocean, strange currents and the appearance (almost overnight) of new islands could have reinforced the legend of the Kraken. Anyway, the good news there have been no confirmed attacks by the Kraken for nearly 300 years now!